With MTG, Linda was seen in Kiss of the Spider Woman and Li’l Abner. 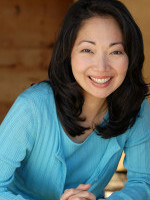 Her theatre credits include many productions with East West Players, the national tour of The King and I, the original L.A. company of Beauty and the Beast, the original Canadian company of Miss Saigon, and James Clavell’s Shogun, The Musical, on Broadway. She can also be seen in the Oscar winning short film Visas and Virtue.